From the “maglia azzurra” of Barcellona ’73 to Tour de France’s yellow jersey: the 19th Granfondo Felice Gimondi-Bianchi, to be held in Bergamo on May 10th, celebrates another amazing and unforgettable success of Felice Gimondi’s career. In fact, in 2015, the Italian legend will celebrate the 50th anniversary of his triumph at 1965 Tour de France. 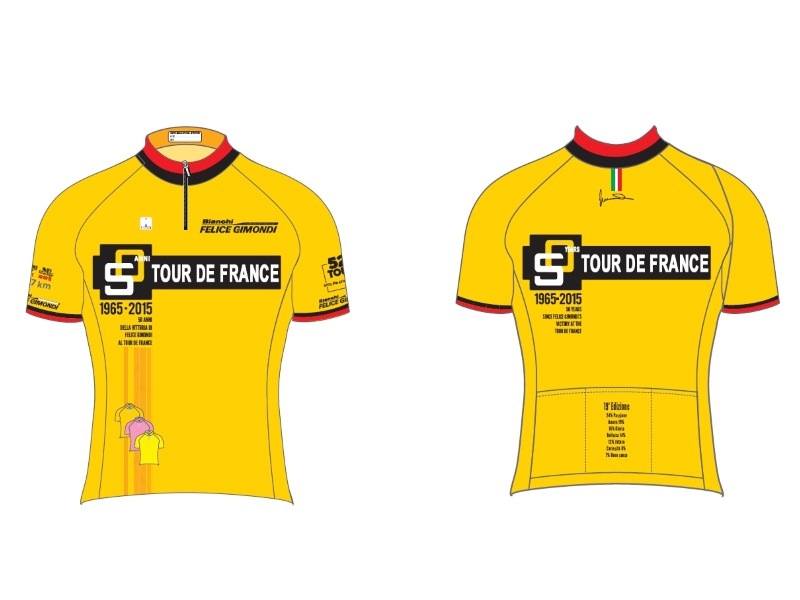 Hence, yellow is set to be the dominating color of the upcoming edition, and that obviously applies to the celebrative jersey as well, signed by Felice Gimondi and featuring some customized details to recall the biggest achievement of the Italian cycling legend in his first year as a pro. The collar is red and black, with hem and graphics recalling those of Salvarani’s jersey, the first pro team of Felice Gimondi, and the one that guided him through the successes of the first part of his career, including the 1965 Tour. Inside the collar there is a custom label, whilst in the back appears the Italian flag’s tricolor with Gimondi’s signature. The central part of Granfondo’s jersey also reminds the leitmotif of the event with a patch celebrating the Tour de France 1965: the number “50” stands out, recalling the anniversary of Gimondi’s triumph at the Grande Boucle and Salvarani’s logo. In addition, the jersey features the logo of the Granfondo Gimondi, that has gathered at the start over 68.000 riders in 18 editions so far, to whom a special patch was dedicated in the lower part of the jersey. On the sleeves, statistics ‘geeks’ will find – along with the 1965 Tour de France official logo – all the main information of the edition started in Cologne (Germany) on June 22nd 1965 and ended in Paris on July 14th after 22 stages and 4.177 kilometers. The Granfondo’s official jersey is available for sale at the price of 33€, either individually and as part of the “registration pack” (Click here). 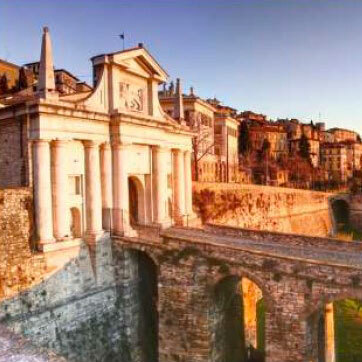 Granfondo Felice Gimondi-Bianchi – that will propose in 2015 the three classic routes, “short”, “medium” and “long” (89,4 km, 128,8 km, 162,1 km) – will be the third round of two important circuits, Coppa Piemonte and Circuito Expo. Registrations for the 19th Granfondo Felice Gimondi–Bianchi can be filed online on the official website, www.felicegimondi.com.